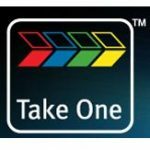 Take One is a video production company based in Buckinghamshire and prides itself on a deep knowledge of skill and experience in creating and using video for businesses. We understand that quality video is far more than just being able to point a camera and throw some images together; there’s strategy, skill and long experience behind a Take One video production, and that’s just one of the reasons why clients return to us time after time. We’ve crafted effective video productions for blue-chip global organisations as well as SMEs. We’re especially passionate about helping SMEs exploit the opportunities that video offers to engage with prospects and improve their search engine rankings. Whether you need a 60 second web video, a corporate video, infomercial, customer insight material or event support, we’ll guide you through the corporate video production process making it stress free, easy and affordable. We excel at what we do and pride ourselves on the quality of our programmes, which is why our customers always return. But don’t take our word for it, see our testimonials and showreel.